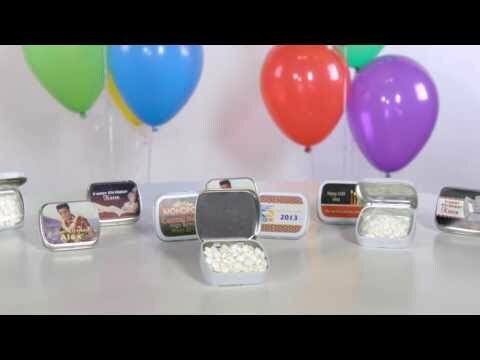 The Mardi Gras Night Personalized Mint Tin are great party favors for any Mardi Gras, Fat Tuesday or Masquerade Party. Each of the metallic mask mint tins feature a yellow, green and purple diamond pattern background accented with a masks and beads. The personalized mint tins measure approximately 5/8" x 1 3/4" and includes 0.45 ounces of peppermints. The affordable Mardi Gras Night Personalized Mint Tin can be personalized with your choice of wording and are a colorful accent to any table or great party favors. Assembly required.